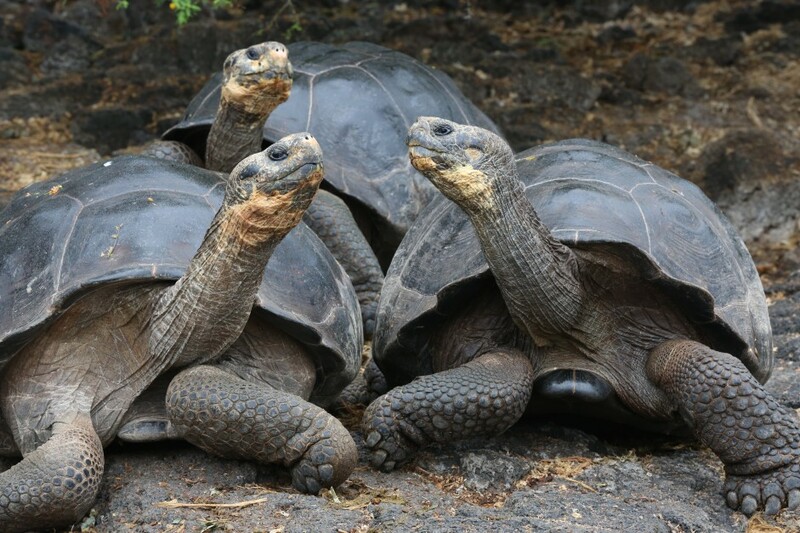 After 100 years of dwindling birth populations, attacks by invasive species, and heavy casualties from fishing and whaling, baby tortoises were found born in the Galapagos Islands. This is huge news for a species that has been struggling to survive for a century, relying on humans raising young tortoises bred in captivity until they are large enough to not fall prey to rats and predators. Finding naturally born young is evidence that conservation efforts are helping rebuild the islands ecosystem, which has been damaged, possibly irrevocably, since the 17th century. Rats have been the biggest threat to the tortoise population since their accidental introduction to the island via ships infested with them. The rats root out nests and eat the eggs and newborns of numerous island species, hurting more than just the tortoise population. Thankfully, the island of Pinzón, home to the newborn tortoises, was declared rat-free in 2012, and the results are already showing. It’s encouraging to see conservation efforts pay off so quickly. The tortoise population has gone from around 150 in 1959 to almost 500 today. Celebration is certainly in order, but there is still more hard work ahead. And it’s never too late to help the cause.